Antimicrobial resistance is a huge public health concern and tackling it is one of PHE’s seven priorities. As antimicrobial resistance worsens, our antibiotics become less effective, and it’s vital that we keep the public informed on this issue including how they can contribute to save some of our most precious medicines. One aspect of this education is to encourage people to be prudent with antibiotic use - and that includes children and young people. 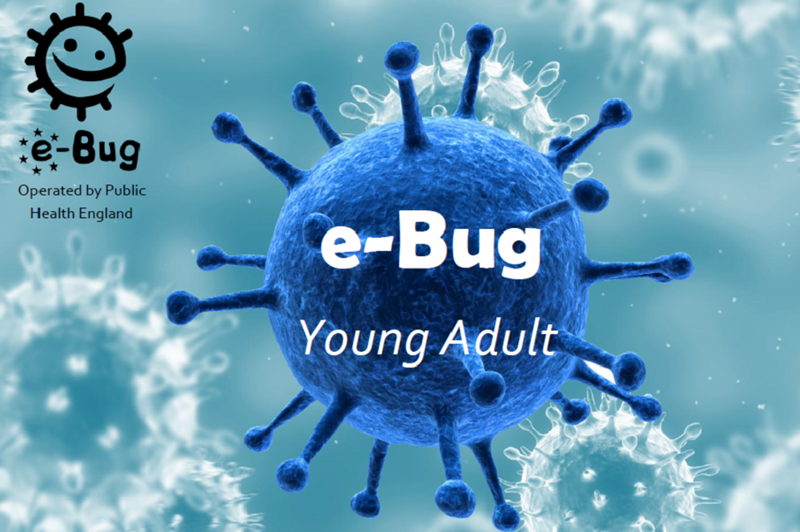 We operate a free health education resource called e-Bug - now in its 10th year, which aims to reduce antibiotic resistance by helping children and young people understand infections and antibiotic use. It's a valuable resource not only because it’s free to access, but it's also available in 22 languages, operating in 26 countries worldwide. The e-Bug team recently held a face to face meeting in London with international partners that saw 16 different countries being represented from as far and wide as Saudi Arabia and India. PHE’s Chief Executive Duncan Selbie attended and outlined our concerns about antimicrobial resistance and how e-Bug fits in with this. So why should teachers consider using e-Bug? The resources are evidence based and have been developed alongside students, teachers and public health professionals. A consortium of 18 partner countries were involved in the development of e-Bug in 2006. Materials have been recognised by NICE, and NICE guidance set to be launched in March 2016 will recommend that schools use e-Bug resources to teach about health and hygiene. We have a range of new resources available for 15-18 year olds, which have been developed after findings suggested that this age group had the lowest knowledge about antibiotic resistance and use. By targeting 15-18 year olds, there is an opportunity to reinforce key messages on immunity, vaccines, prudent antibiotic use and antimicrobial resistance. After all, this is the generation that could face an adult life without effective antibiotics - you can read more about why we should all worry about AMR in this blog. Lesson plans: These can be used in PSHE and biology lessons, assemblies and health events. All lesson plans are in line with the National Curriculum and UK exam boards. The lesson plans cover the topics of antibiotic use, antibiotic resistance and vaccinations. There are also Peer education lesson plans and resources for young adults are also available to increase students’ confidence and communication skills. Debate kits: These cover the topics of antibiotic resistance and vaccinations and aim to spark discussions among students. 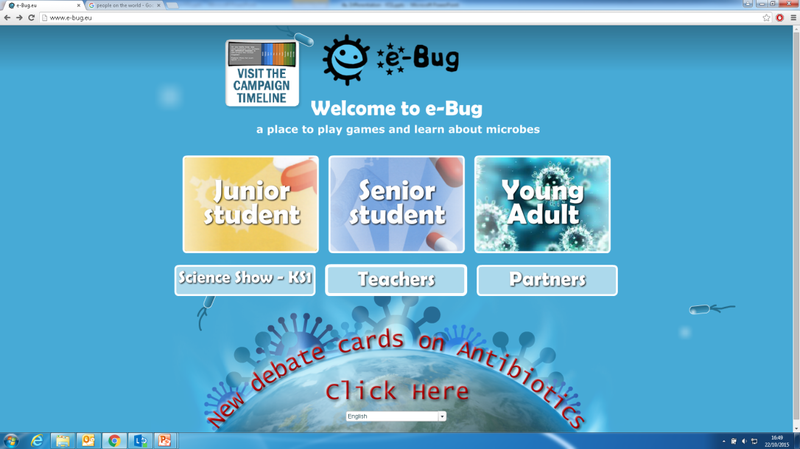 The new resources and others available through e-Bug work to educate the future generation of antibiotic users and prescribers to use antibiotics responsibly and ultimately reduce antimicrobial resistance. If you would like further information on e-Bug please email e-Bug@phe.gov.uk.